For those who don’t know, the NHL is one of the toughest sporting leagues in the world to play in. The regular season lasts for 82 games, which is bad enough for anyone but on top of that, the best 16 teams in the league go forward to the end of season playoffs. Those who reach the final will play four other teams in series’ that could last up to seven games, which means if they go all the way then teams will play 28 playoff games on top of the 82 regular season games, giving a total of 110. If you are interesting to find daily informationa about this league, you should visit offcial NHL page. With that in mind, when you are looking betting systems and NHL betting trends, it is vital that you understand what stage of the season it is, how the teams are going into the games and what is at stake. For example, teams go on tough road trips from time to time, while others may have a relaxed week. If a team is playing its third game in four nights in four different cities on the road, and their opponents are at home in the middle of a homestand and after two days off, there will be a massive difference between the conditioning of the two teams. It is always important to look at the relative strength of each team, but with the NHL more than any other US sport, it is vital to assess where the teams are, how they come into the game and how that will affect their fitness. When you are looking at teams, take a look at where they are, is the team in the middle of a homestand where they have spent quality time in the comfort of their own home, or have they been on the road away from family and in different cities? This will impact a game more than you think, and with the information freely available to compute and use to your advantage, it is certainly an angle to look at. One thing to remember is that being on the road doesn’t always mean that a team is at a disadvantage. When a team goes on the road, they can often bond together very well and the players have the chance to get to know each other properly, away from home and their families. This is one of the reasons that teams like to have an early season-long road trip, so newcomers can get to know their teammates. If players click on the road, they can be tough to beat because they are enjoying their time away and they are playing hard for each other. Don’t be scared the back road teams, but check out their overall road record as well as how they are doing on their current streak. 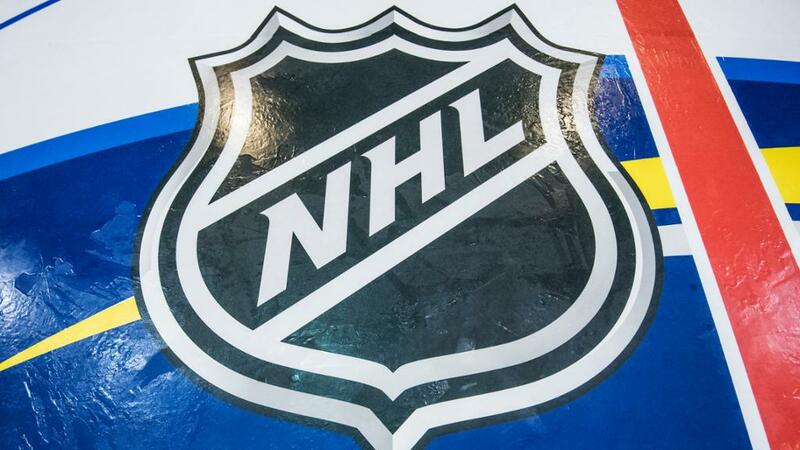 The NHL season goes from October to April, and that’s before the playoffs get underway. NHL playoffs bets its way different world when season NHL bets.. Teams will change throughout the season, but in terms of character and personnel, so it is important that you value recent form just as much as overall form, never only look at the league standings. For example, a team could have started really well due to a favourable homestand, and a couple of players getting off to great starts. However, if they have started to struggle more recently, that could be a sign of them coming down to their level. They may show up well in the standings, but recently they have played poorly and are worth opposing. The same can be viewed in the opposite way, and this is where a change of personnel comes into play. A team may start poorly and be bottom of the standings, but changes to line combinations, call-ups from the minor leagues and changes to the coaching staff could all have a big impact on the team. With a long season, even if a team have struggled at the start before these changes, they could still be worth following after the changes because that could really improve them. When you start watching the NHL you will notice that pretty much no player is capable of playing at the top of their game for the full 82 game season. The best players in the world will go through rough patches and times when they are carrying their team to victory. Try and look out for these times, and obviously, if you find a star player who is having a great week, it is worth following their team in the short term. Something else to look at is goaltenders, who are vital to their team’s chances. If a team is playing with a hot goaltender then they are going to go into games very confident, knowing that their goalie is playing well and he will be able to stop a good number of shots. However, a team that is struggling for good goaltending may drop a little deeper and play a little more defensively in front of him, as they are lacking in confidence. One thing you will find is that all-star players will come to play during the playoffs. These games are played at a much higher intensity level, and if you have never seen a playoff game then you are in for a treat when you do. The stars all know how important the playoffs are, and this is where they earn their big bucks. In these games, you will see big names coming to the fore, and goaltending is even more important as well, as the games come thick and fast every two or three days. The biggest and best NHL stars will be seen on the biggest stage, and that is the playoffs. 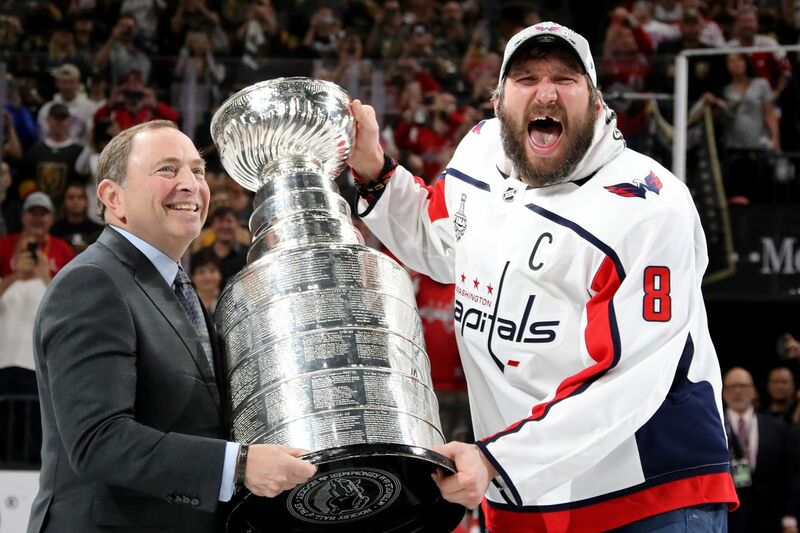 These stars go head to head, and the ones that rise to the top are the ones who have a chance to lift one of the most famous trophies in sport, the Stanley Cup. Dont forget what to choose good bookmaker to make profit, its also important thing, so check our best online sports betting page and earn extra edge in ice hockey betting. Also if you like nhl online betting with cryptocurrency you should visit our crypto bookies page. 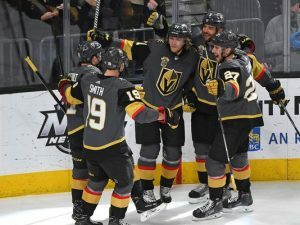 If you want to know other nhl betting strategies, read this article about NHL outtight betting.